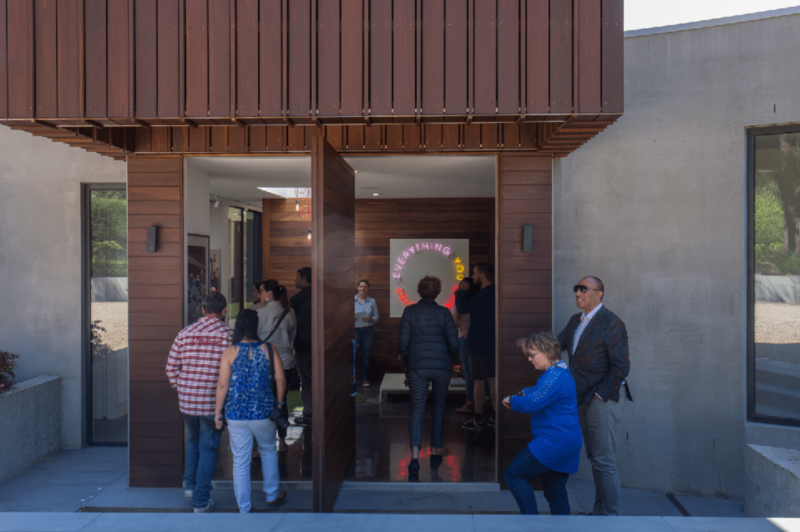 The inaugural Open House Ballarat program—which ran from 28–29 October—exceeded expectations, demonstrating deep public engagement in the city’s architecture and heritage. With over 9,000 visits to 21 buildings, the turnout included highly engaged locals, as well as visitors from Melbourne and further afield. A combination of pre-booked, guided, and self-guided tours ensured that the city was a hive of activity across the weekend. Whether walking around the public buildings of Central Ballarat, or heading to the extraordinary open homes and hidden spaces across the wider city, visitors to the event were able to see inside a number of spaces that had never before been accessible to the general public. Tours of iconic buildings, such as the Regent Multiplex and the basement of Ballarat Mechanics Institute, revealed hidden spaces and rarely seen artefacts of the city’s history. Meanwhile, contemporary buildings in the program highlighted the continuing value of architecture in shaping the region; from large projects like the Ballarat Primary Care Community Health facility and Mars Stadium, to smaller-scale architecture like Webster Street House and Piermont House. The weekend’s success was, in no small part, thanks to the substantial contribution of our dedicated volunteers, building hosts, and tour guides. With over 70 guided tours throughout the two-day event, visitors were given rare insights into Ballarat’s buildings, including rich historical tales, and behind-the-scenes stories of the current workings of the city. As Open House Melbourne’s first stand-alone regional event, the weekend would not have happened without generous support from the City of Ballarat and Visit Ballarat as major sponsors. We would also like to thank the Open House Board, Volunteer Council, Building Council and Association Members for their ongoing support of all Open House Melbourne initiatives, and Open House Ballarat in particular. And of course, the generosity and warmth of the people of Ballarat not only made the event a success, but also made our visitors, and the Open House team, feel so welcome. We’ll definitely be back next year! Stay tuned for more stories from Ballarat, as well as more Open House Melbourne year-round programming and events.